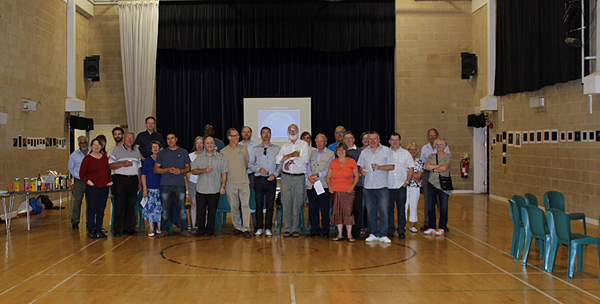 Our Practical Evening on Thursday 7t August 2014 was an Astronomical Photography Exhibition. Members presented their photos as prints and digital images. The prints were exhibited on the walls of the Sports Hall, and the digital images were on 3 computer screens in a rolling display form. Our bi-monthly competition images at our Lecture evenings had not produced many images on a regular basis, so we decided to give it a boost by having a Photography Exhibition. This proved to be very popular, and we had a wide variety of images on display. We made it into an enjoyable social evening by providing cheese and biscuits, wine, soft drinks and tea and coffee which members enjoyed, and it was nice to have plenty of time to chat with each other. 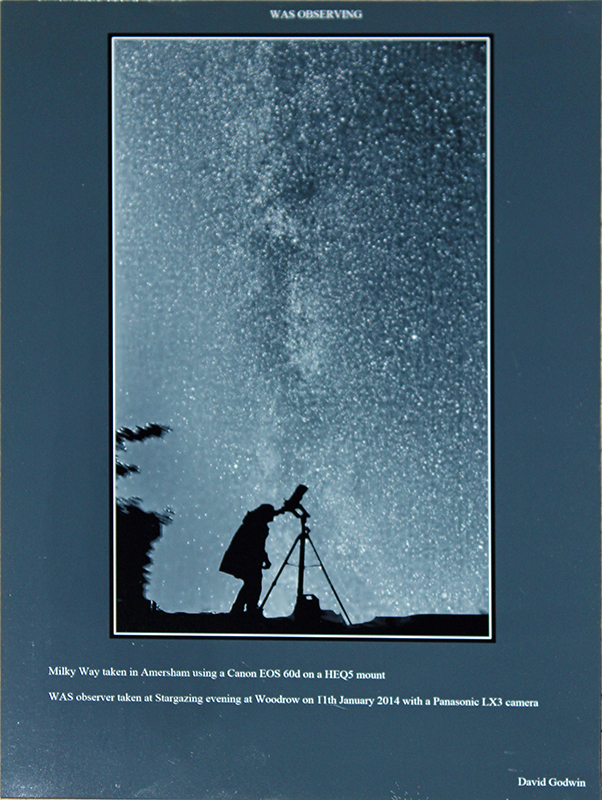 In 3rd place was Morton Hardaker's digital image of M45 the Pleiades, in 2nd place Mark Cullen's print of the Witches Broom in the Veil Nebula, and first place went to David Godwin for his print of the Milky Way with an observer and telescope. Members felt that it had been an enjoyable and worthwhile evening, and our thanks go everyone who helped to make it so successful. We plan to have another of these evenings at some time in the future. Here are some images taken during the evening.